Wow, do we have a lot to announce to you! After some last-minute good news from our freshly-renovated venue, we were able to put away some less-than-optimal contingency plans and do things like we’d been hoping to, even if it led to a bit of a scramble. So, onward! Oh, noooooo! You don’t want to get bit by an increase in prices, do you? We know we wouldn’t. 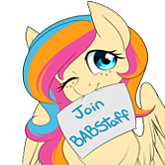 Go register for your BABSCon 2016 membership before pre-reg pricing ends at 11:59PM PDT Friday, April 15! You guys filled both our block at the Hyatt and the Holiday Inn Express. But we gotcha covered…just 5 minutes’ walk away is the swanky Crowne Plaza Hotel. Con-rate rooms start at $129/night. Book ‘em before they’re gone, tho! Our Schedule of Events is available for viewing! Now you can start planning your BABSCon experience! Go check it out. Our Vendor Area layout and listing is also available for viewing now. Stay tuned for some last-minute additions since the aforementioned good news let us open up some tables to our wait list! 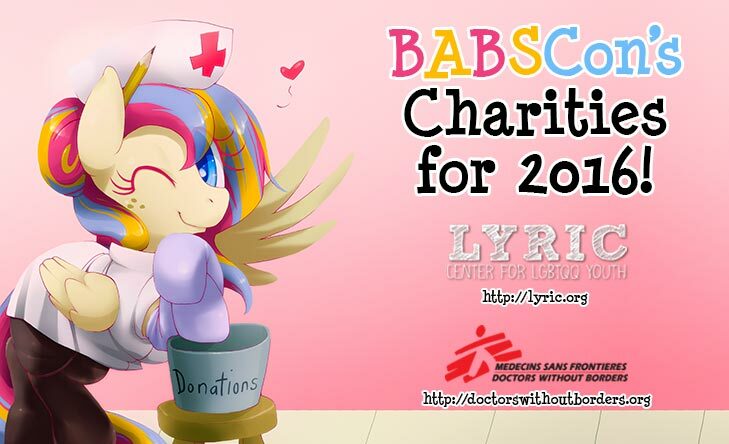 BABSCon is proud to announce our 2016 Charity Partners are LYRIC and Doctors Without Borders (aka Médicins Sans Frontières). LYRIC has been providing services to at-risk LGBTQQ youth in the San Francisco Bay Area since 1988, and I think we all know about the great work that Doctors Without Borders does in disaster-afflicted and war-torn regions around the world. Please donate your best offerings to our charity auctions by contacting us! So, don’t forget to register before prices go up!